If Fairfax County Schools open one or two hours late, all sessions will open one hour late, unless parents are notified. 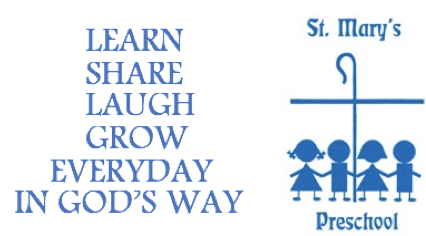 If Fairfax County Schools are closed due to the weather, St. Mary’s Preschool is closed. In the event Fairfax County finds it necessary to close schools early due to hazardous winter conditions, all sessions will be cancelled. Parents are asked to pick up their child at St. Mary’s Preschool as soon as possible. All our sessions will meet as scheduled when Fairfax County closes early due to heat. The Preschool also uses the REMIND APP to alert families of changes due to weather or events at the Church that would require a change in time and/or location for arrival/dismissal.